The Gunton’s team comprised of four couples including the winners of the 2016 Auburn fundraising dinner. The team of 8 interacted with Kibera WEEP graduates and newly enrolled women. The women shared their accounts of resilience and the transformation that the WEEP program has brought to their lives. The team members encouraged the ladies through Scriptures and spent more time with them over lunch. Each lady was given a food basket to take back home. It is always a joy to interact with the women who benefit from HEART’s projects! The team travelled and met WEEP women from Taita Upper and Lower. They listened to their stories and gave them food baskets. On Sunday, they visited the Christian Harvest Church-Sechu to experience a village church service and meet the community. This is the church where Dr. Vickie Winkler got the vision to start HEART! 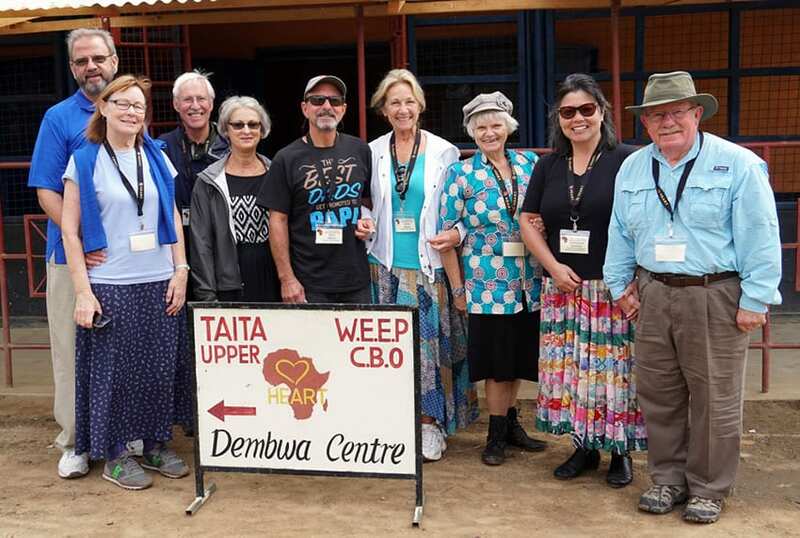 The Gunton’s team also spent time with 45 children of the Taita WEEP women. They played games, made crafts, read Bible stories and took pictures which they later printed for each child. In Nairobi, Dennis and Barbara Luther met with 11 staff children whose education they support. The children expressed their gratitude to the Luther’s for supporting their education and promised to work hard to reach their goals. They wrote down their dreams and attached their photos. “We will post these in one of the rooms in our homes and pray for you,” said Dennis Luther. The children also gave thank you notes and gifts to Dennis and Barbara. Dennis and Barbara Luther urged the children to pursue their goals. We thank the Gunton’s team for the gestures of love to the women and children.